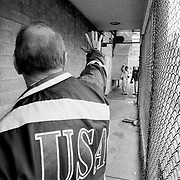 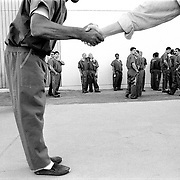 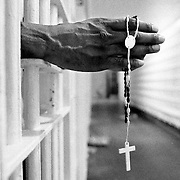 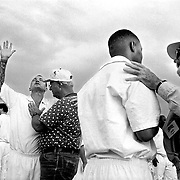 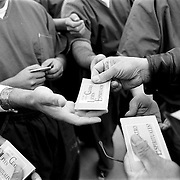 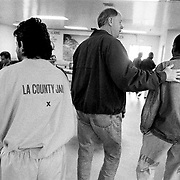 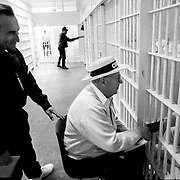 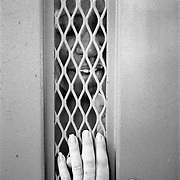 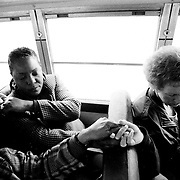 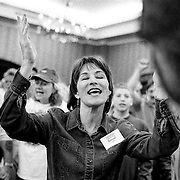 In an effort to document how convicts become Christians I spent over a year with Bill Glass Prison Ministry as they sought to save inmates in Texas and California. 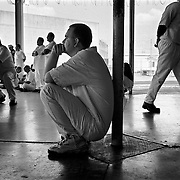 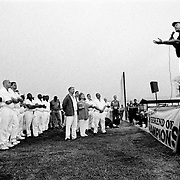 Called a "Weekend of Champions," the ministry would choose a selection of prisons in a city and spend several days going in to the prison to "save" inmates. 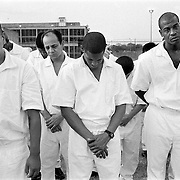 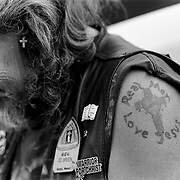 The ministry appealed to the inmates by playing rock n roll music on the yard and gaining permission to bring their motorcycles into the prison. 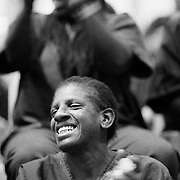 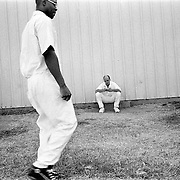 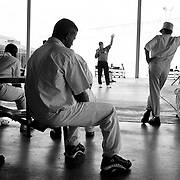 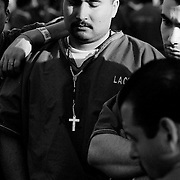 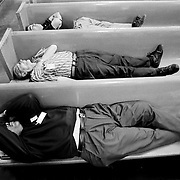 Prison life is redundant, so inmates turn out in numbers to see and hear the ministry at work.